Marble is a timeless classic when it comes to building materials. When iyou want to show off your class, marble fixtures and statues. That’s great for your house, but how will people know you’re classy when they look at your phone? If you have an iPhone then good news, cover it with the CLIC Marble case. The case made from marble. That’s right, mined from the earth marble. For your iPhone. Each case is unique because no two slabs of marble are exactly alike, no matter how small. Don’t worry, this won’t turn your phone into some Flintstone-esque accessory, these slabs are wafer thin and although they may feel a bit heavier than your standard case, they won’t be weighing down your pocket like a ton of bricks. This comes in two different colors, black and white basically but there are options for iPhone 6/6s, 7, and 7 Plus. 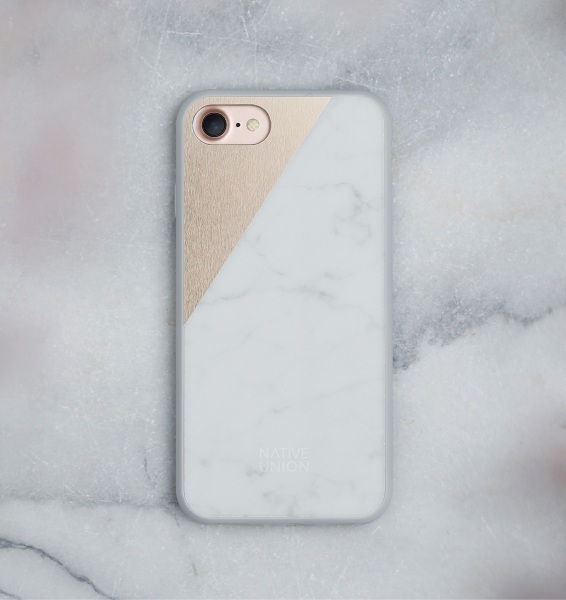 So if you’re looking for a new case that shows off your refined and classic tastes while remaining cool to the touch because it is literally stone, the CLIC Marble is $79.99.